Steve Gullage joined the SEM team in June 2018. Steve is a Senior Biologist with diverse experience in terrestrial ecology, including ornithology, mammalogy, botany, and herpetology. He has over 18 years of experience with study design, data gathering, environmental monitoring, analysis, report writing, and managing large projects. Steve has a Master of Science in Biology and a Bachelor of Science in Forestry and Environmental Management, and he has worked extensively for consulting companies, government, and post-secondary educational institutions throughout Newfoundland and Labrador, the Maritimes, northern Ontario, and Costa Rica. Steve has had management roles in large projects like the field program for the Newfoundland Caribou Strategy (a 15-million dollar project to assess the causes of the caribou decline in insular Newfoundland), the Maritimes Breeding Bird Atlas, the Wild Harvest Initiative, and the Ontario Wildlife Assessment Program. Steve has purposefully diversified his background across several ecological aspects, with experience in counting birds by sight and sound, collaring black bears, caribou, lynx, and coyote, conducting telemetry on hummingbirds, surveying for endangered lichens, conducting surveys of Harlequin Ducks, and marine mammal surveys, to name a few. Steve is interested in food security issues in Newfoundland and Labrador, with emphasis on adaptation and mitigation to the impacts of climate change. 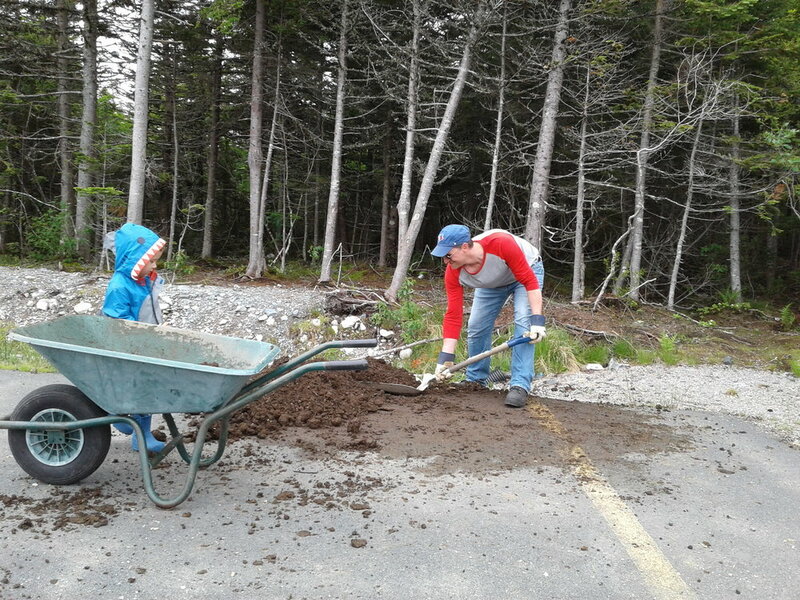 He is also a member of the Torbay Community Garden committee, and began a charity project in spring 2018 to grow food for the Northeast Avalon Food Bank. Steve has a Permaculture Design Certificate from the Permaculture Research Institute (Scotland, 2015) and is especially interested in applying the integrated principles of permaculture to food security issues in Newfoundland..